Turn your knack for electronics into an exciting professional career. It starts with this Bachelor of Technology (Electronic and Computer Systems) course from Edith Cowan University. A unique course designed for students interested in technology systems and just beginning a career, this comprehensive computer systems course covers the science and technology of electronics and computer systems, and positions students for careers in electronics, computer engineering and and engineering. This qualification will equip you with the skills and knowledge required to work in computer and electronic technology, including theoretical knowledge of computer systems, mechanics, electronics and design, and practical skills in problem-solving and project management. You'll build a foundation in maths, design and engineering, and specialise your knowledge with advanced subjects including data communication, digital electronics, computer-aided design and power electronics. This qualification also offers the opportunity to link theoretical knowledge with practice. You'll have the opportunity to complete six weeks of work placement, putting your new skills into action and building sought-after experience. If you enjoy working with details and like problem-solving, this course could be your first step towards an exciting new career. You may also choose to use this qualification as a straightforward pathway to working professionally as an engineer -- articulation may be available towards the Master of Engineering with this qualification, allowing you to become qualified as a professionally accredited engineer with just two further years of study. Meet ECU's English Competency and special admission requirements (see below). If none of the above applies to you, but you have work and life experience, you may be eligible to apply via ECU's Experience-Based Entry Scheme. Special Admission Requirements: It is desirable that all applicants have passed Mathematics: Methods ATAR, with equivalents considered. Alternatively, applicants can complete a bridging unit during the first year of their studies if students have not passed Mathematics: Methods ATAR. 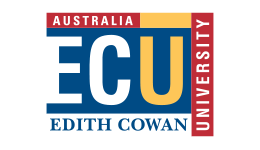 Upon successful completion of this course, you will receive a Bachelor of Technology (Electronic and Computer Systems) from Edith Cowan University. This qualification will equip you with the skills, knowledge and experience required to pursue employment in the exciting field of computer science. After completing this course, you may choose to work as an electronic technologist or a computer systems technologist. This course also acts as a pathway to working professionally as an accredited engineer. After completing this qualification, you may choose to apply for the Master of Engineering course, and pursue work as a professionally accredited engineer. Fees may be paid up-front, or financial assistance is available to help with study costs. Eligible students can apply for a HECS-HELP loan to cover the upfront costs of all or part of your fees. Edith Cowan University also offers student loans and scholarship opportunities to eligible applicants. Enquire now to find out more!